As of December 2016, global cellular mobile connections have reached to 7.89 billion subscriptions, according to GSMA Intelligence. To some it seems like all 7.2 billion people on the planet will have a mobile connection. But that is not the case. 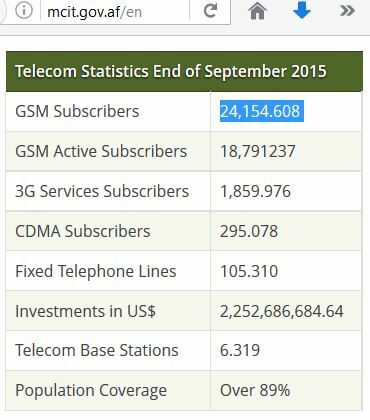 GSMA Intelligence shows that there are only 4.8 billion subscribers or individuals with mobile subscriptions. This means that there are individuals with more than 1 mobile connections. GSMA Intelligence’s report shows that in China, the number of SIMs per individual in rural areas is 1.18 but in urban areas it is 2.03. Similarly in India this average is 1.88. UAE, Hong Kong and Saudi Arabia are some of the countries where mobile subscription rate has gone beyond 200%. It’s a global practice for individuals to have more than one subscriptions for a number of reasons, for instance price difference among the telecom companies, service availability, service quality etc. Another important service that has negative correlation with mobile subscription is the Mobile Number Portability (MNP). MNP allows an individual to conveniently switch from one mobile network to another without losing his or her number. If an individual has the option of keeping their number and switching to another network operator then mobile subscriptions would go down. Or in other words, the unavailability of this service adds to mobile subscription numbers. In Afghanistan, the top management at the Ministry of Communication and IT (MCIT) has given different numbers for subscriptions through various media outlets, however the MCIT official website shows that there are 24.15 Million ‘Subscribers’ meaning 24.15 Million individuals are connected via cellular mobile connection. Back in October 2011, at the Open Source Conference in Kabul, the then Minister of MCIT had an interesting analysis based on the same stats. He said “If we take children under the age of five out of the stats then we can easily say that every individual in Afghanistan has a mobile connection”. Considering the hype that the telecommunication sector has received over the past decade for its development and expansion, it sounded pretty convincing. But considering the same stats, the land coverage of telecom companies is 89% in the country, so it would be impossible to ever claim 100% subscribers, unless the 11% uncovered area is completely uninhabited. Studies, however, also show that large families share their mobile phone or SIM connection with their family members. So penetration rate per house hold could be higher. In the case of Panama, the penetration rate of 57% subscribers went upto 87% per household when this cultural factor was considered. The penetration rate in some countries is as high as 240%, meaning 2.4 SIM subscriptions per individual (subscriber) but global average, considering factors such as mobile phone sharing in a household and lack of services such as Mobile Number Portability, is at 1.81 subscriptions per subscriber. In Afghanistan, the 24.15 million figure is for subscriptions and not for subscribers. Using the global average of 1.81, a rough estimate of the number of subscribers in Afghanistan, based on the number of 24.15 subscriptions (and not active subscriptions, which would be even lower than that) would be 13.3 million i.e. 41.5% of the total population. This new figure certainly shows the untapped market potential. Mobile telecommunication companies have yet to expand their services to ~58% of the population.